In significant car crashes with serious injuries, the victims are often overwhelmed by the amount of information being asked of them all while trying to recover from injuries and sort out the aftermath of such a serious and potentially life-changing event. Injury lawyers like those at the Judnich Law Office are here to help these victims by handling all of the insurance and medical matters. Most importantly, we take the stress of the victims during a most stressful of times. Research shows that a major injury is one of the most stressful events that can occur in a person’s life. 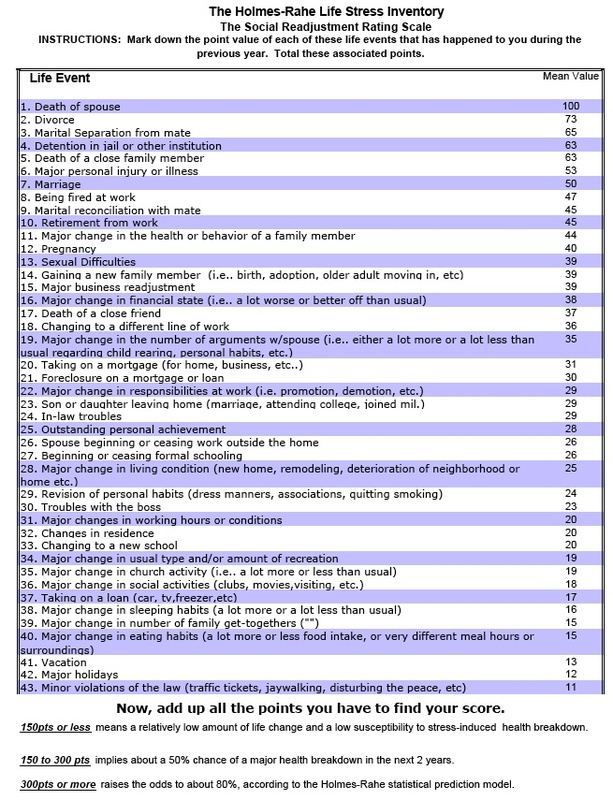 Financial stress also ranks highly on the Holmes-Rahe Life Stress Inventory. These life-changing challenges often result from car accidents and can have serious impacts on your quality of life and even your health. The Judnich Law Office is here to help you get through even the toughest times. After a serious car accident in Montana, both the responsible driver’s insurance company and the victim’s insurance company will be constantly contacting the victim of a crash to try to get all the information they can. The responsible driver’s company may also be trying to figure out a way to blame the victim for the crash by taking a recorded statement before the victim knows how to answer their questions and what to say. This is where having the assistance of a lawyer is vital. Sometimes you cannot undo the damage that has been done just by talking over the phone with an insurance adjuster. The safest thing to do is to hire an attorney to look out for your best interests and determine if the insurance companies even need such a statement. payments should work in the correct order to ensure your medical bills get paid and you receive the most compensation for your loss. Montana is a very complicated state when it comes to insurance coverages and the handling of claims. A wrong move can cost you tens of thousands of dollars. Hiring an experienced lawyer for these claims is the only way to ensure your insurance claims are handled the right way. What Does a Car Crash Attorney Do? Doctors and hospitals are often are in a rush to get injured parties treated. This often leads to confusion over the payment arrangements and determining which insurance company will actually pay for the services can be overwhelming. Should health insurance pay? Should the responsible driver’s insurance pay, or even the victim’s vehicle insurance pay? These complicated questions have very different answers depending on the particular claim and the specific insurance policies at play. Only the most experienced injury attorneys can help you navigate these dangerous waters and ensure your medical bills are paid on time and you don’t have bills in collections. If you or someone you love has been injured in a serious crash, contact the Judnich Law Office for a FREE, no obligation consultation to discuss your options and rights as a victim.